This week, a woman in Connecticut needed emergency surgery to remove a wire barbecue brush bristle from her digestive tract -- and doctors say she's not the first. Cheryl Harrison of Wallingford, Connecticut, was rushed to the hospital by her husband after feeling a sharp and unusual pain in her stomach. Dr. Aziz Benbrahim, her general surgeon at MidState Medical Center, told CBS News she was lucky because she came in right away. A previous patient of his who had a grill brush wire stuck in his system waited for a couple of weeks. It had punctured his intestine. "I had to open him up completely, " said Benbrahim. "Then we remove this wire and we found out also why he had chest pain -- because he also had pulmonary embolism, which is a blood clot in his lungs." "He was just lucky he was still alive," he added. "All from this wire." Just one of the coarse wire bristles can puncture any part of the digestive system -- esophagus, intestines or stomach -- as it makes its way down the tract. The consequences can range from sharp pains to major punctures that could cause death. The CDC says approximately 80,000 people come to emergency rooms every year after accidentally swallowing foreign objects -- the majority are children. Wire bristles from grill cleaning brushes are part of that group, but one of the hardest to detect because the bristles are so thin they don't always show up on X-rays. No data is officially collected on these cases. "Nobody knows the statistics, that's the problem. The only paper published talks about 6 or 7 cases and I believe it's a much, much more common," Benbrahim said. "When I was talking to my colleagues at the hospital, I was surprised that all of them had at least one or two patients like this. I didn't think it was that common. And this isn't a very big hospital, so I assume that in a bigger hospital they would have more." The one definitive study was conducted at the Rhode Island Hospital in Providence in 2010, after the hospital surgically removed wire bristles from six patients within an 18-month period; it was updated in 2012. In these six cases, the hospital only determined that wires were causing the painful swallowing or abdominal pain through careful questions about what and when the patients ate and either x-rays or CT scans. The bristles had perforated the small intestines of two patients and the stomach and liver of another. For people who have unidentified abdominal pain, seeking medical attention quickly to find the source of the problem -- and telling doctors all the specifics of eating habits since the pain began -- can make a big difference in faster diagnosis and treatment. 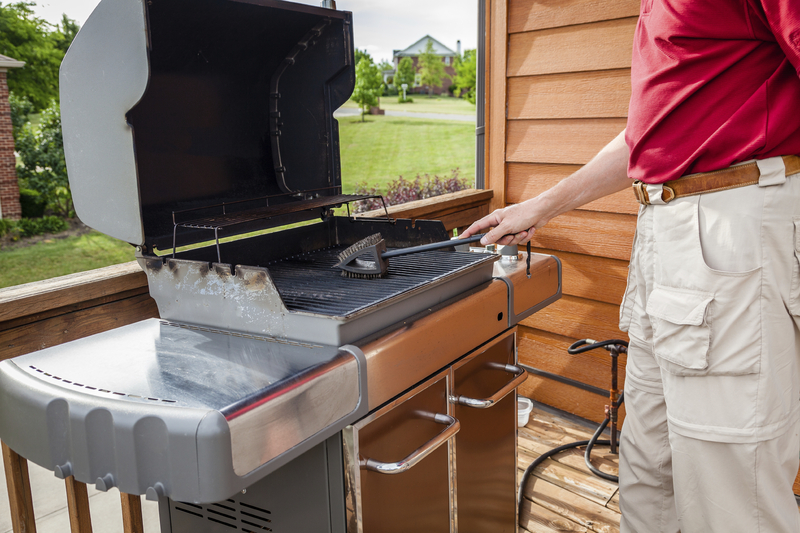 As a precaution, grills can be cleaned with aluminum foil or nylon brushes, instead of wire brushes, then wiped down with a cloth and carefully inspected before food is cooked.